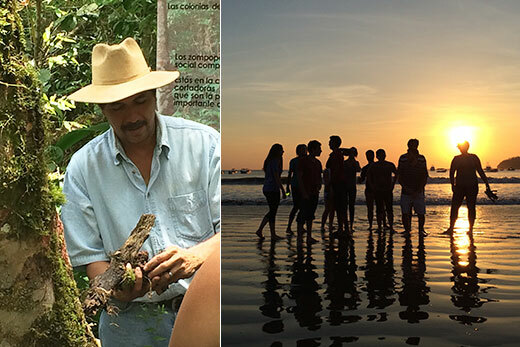 The “Social Enterprise in Nicaragua” course includes a nine-day trip in which students meet Nicaraguan coffee farmers and experience the country’s landscape and culture. Courtesy photo. Cool factor: Guides students in conducting community-engaged research with partner organizations to develop practical skills to address community food insecurity in context. Students participate in a "food insecurity experience," living on a food stamp budget for one month. Course description: Explores the determinants and outcomes of access to healthy foods, evaluates the effectiveness and sustainability of existing food security strategies, conducts community-engaged research in local communities on food access issues, and presents research findings at the end of the semester in a symposium for community stakeholders.